Yesterday, U.S. Deputy Commerce Secretary Bruce Andrews concluded a two-day visit to Las Vegas, where he toured the floor of the 2015 International Consumer Electronics Show (CES) and addressed Las Vegas business leaders at the Chamber of Commerce on the importance of innovation and entrepreneurship to the American economy. On Wednesday, Deputy Secretary Andrews addressed local Las Vegas business leaders at a roundtable organized by Business Forward. He discussed the Department of Commerce’s role in supporting innovation and entrepreneurship, particularly in pursuing 21st century trade agreement. Deputy Secretary Andrews also spoke about the need for Congress to pass Trade Promotion Authority and the need to strengthen the President’s ability to create economic opportunity for U.S. companies and open up key markets for U.S. goods and services. Such agreements can help spur growth; help American manufacturers, service providers, farmers and ranchers; and increase U.S. exports, as well as allow American businesses to compete in a highly competitive, globalized economy. 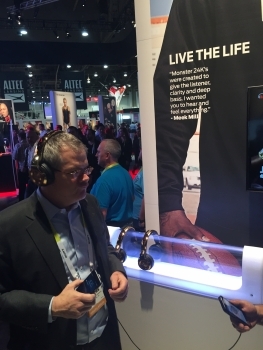 Following this address, Andrews traveled to the Las Vegas Convention Center where he toured the CES show floor with representatives from the Consumer Electronics Association. There, he saw firsthand how small and medium businesses are developing innovative technologies that have the potential to improve the way kids are educated, enhance home entertainment, and keep America on the cutting edge of research. 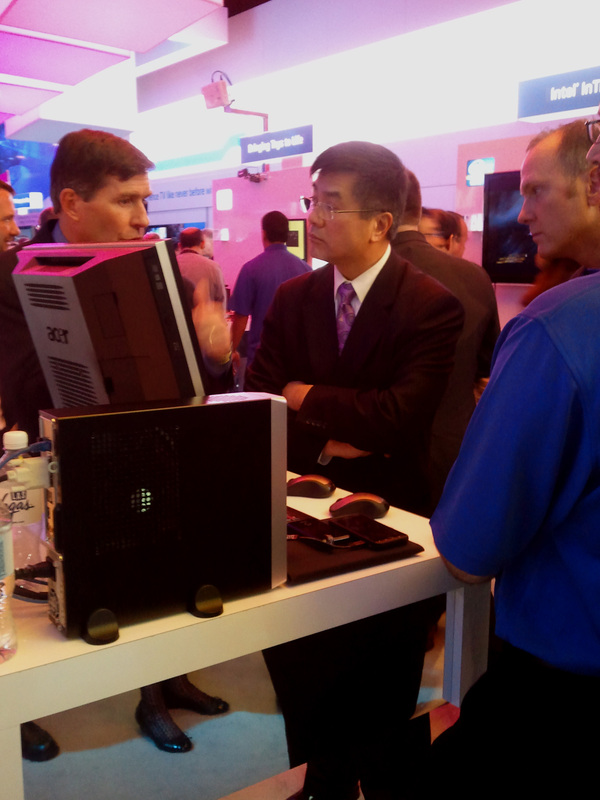 He met with a mix of U.S. companies at the show, including five small companies that manufacture in the United States and six larger companies. 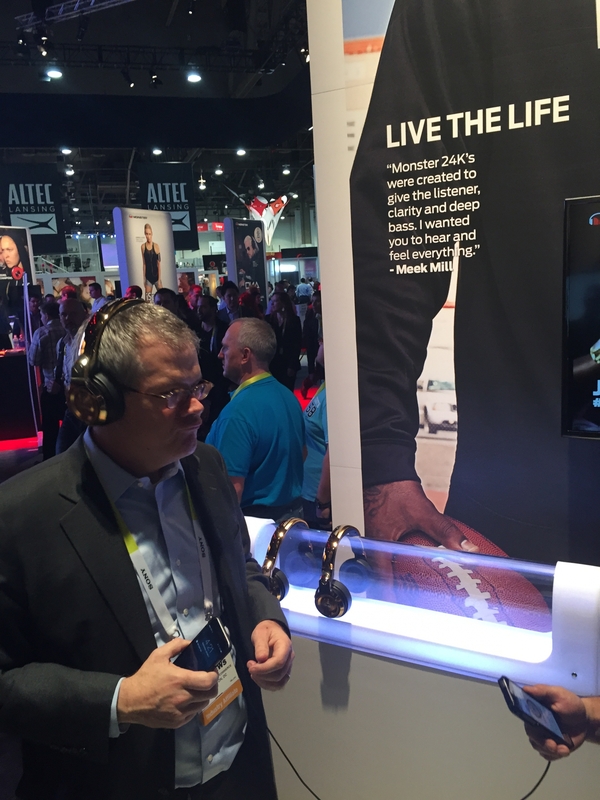 CES showcases more than 4,000 exhibitors, including manufacturers, developers, and suppliers of consumer technology hardware, content, technology delivery systems and more. 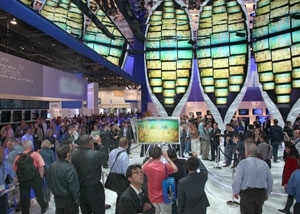 CES also includes a conference program with more than 300 sessions and draws more than 152,000 attendees from more than 150 countries. The International CES is held in Las Vegas each year, and has served as the proving ground for innovators for more than 40 years. Later that day, Deputy Secretary Andrews attended the Leaders in Technology Reception and Dinner, where he met with the industry’s key representatives and stakeholders. Deputy Secretary Andrews also met with local staff from the International Trade Administration’s U.S. Export Assistance Center and sat in on a presentation by a U.S. manufacturer participating in the Global Markets Insight Program, which helps connect businesses with trade partners and succeed abroad. 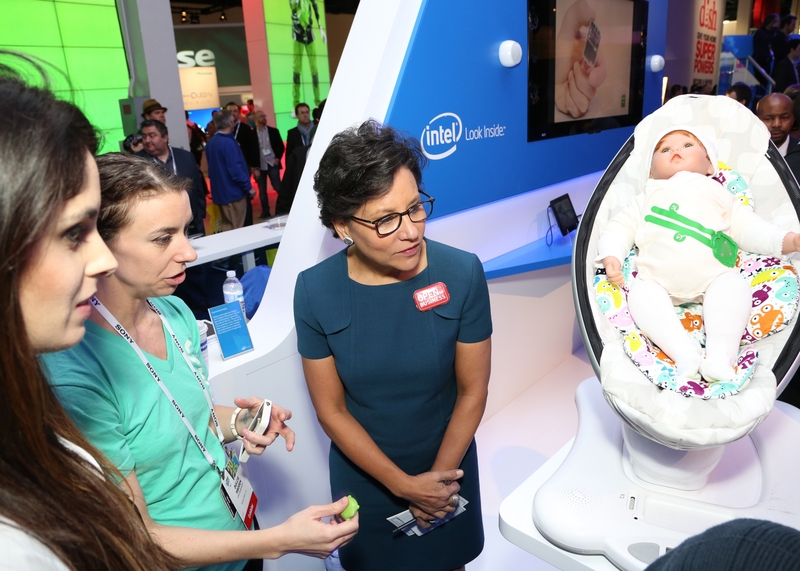 The Deputy Secretary’s participation in CES highlights the importance the Commerce Department and theAdministration place on innovation and entrepreneurship, including through the Department's "Open for Business Agenda." It also underscores the value the Department places on promoting the ideas and policies that support innovation and entrepreneurship, which help America maintain its competitive edge, spur wage and job growth, and strengthen the U.S. economy. Secretary Penny Pritzker this week attended the 2014 International Consumer Electronics Show (CES), an annual showcase of the very latest in technology innovation. In addition to touring the floor, Secretary Pritzker participated in the "America is Open for Business and Innovation" Super Session, a one-on-one conversation with President and CEO of the Consumer Electronics Association, Gary Shapiro. Throughout the Super Session, Secretary Pritzker discussed the Commerce Department's initiatives to strengthen America's competitive edge by investing in innovation and entrepreneurship. Secretary Pritzker highlighted some of the key ways in which the department works to promote innovation. For example, the department has undertaken great efforts to reform the patent process and reduce the patent backlog, and is moving forward with an aggressive agenda to support U.S. manufacturing. She spoke about the compelling economic case for immigration reform, and need for skilled workforce training. These efforts will help create the conditions that allow private sector companies to out-innovate anyone in the world. 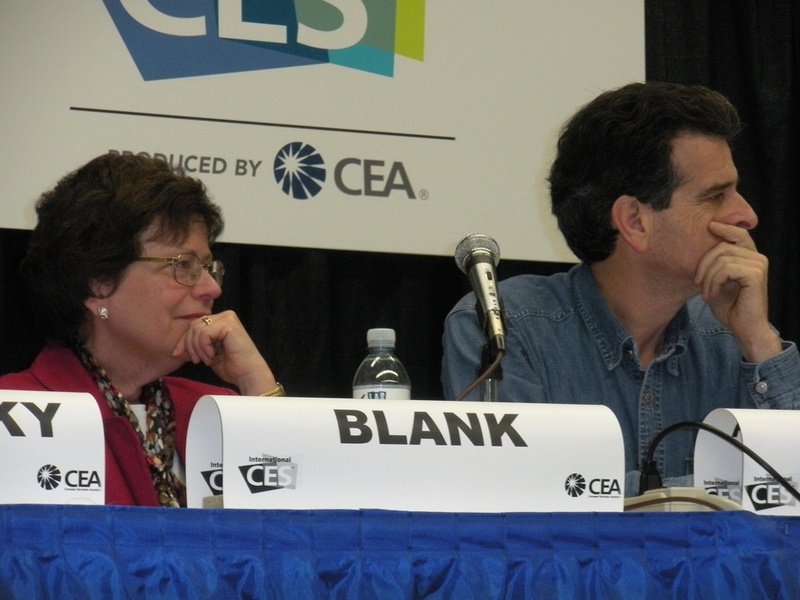 Pritzker noted that the companies present at CES are critical to the strength of the U.S. economy. U.S. tech employment in 2012 totaled nearly 6 million, and the tech industry paid an annual average wage of $93,800 that same year. That is 98 percent more than the average private sector wage of $47,400. The app economy alone has created more than 500,000 jobs.